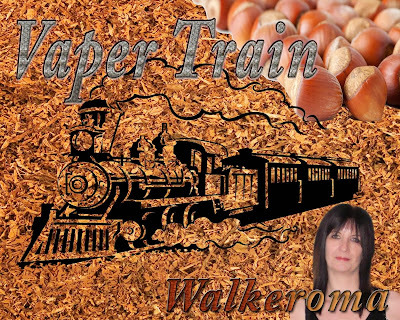 The e-liquids I am reviewing today have been sent to me free for review from Jon over at 'The Vapour Place', Bristol. INTRODUCTION: To 'The Vapour Place' (Taken from their website). 'The Vapour Place' is a relatively new vape shop in Bristol selling quality e-juice, e-cigarettes & vaping accessories. It is an independent vape shop in Bedminster (Bristol) passionate about supplying quality goods to the public. As a family-owned business they pride themselves on great customer service, friendly advice and reliable vaping products. They test all of their e-juices, e-cigarettes and accessories and will never sell anything that drops below their high standards and your vaping needs. Whether you are an experienced vaper looking for a new e-juice flavour, or a smoker looking to buy your first e-cigarette, they're there to help. They have a wide range of vape flavours, from their own house branded e-juice to beautifully crafted premium e-liquids, selected from across the globe. At The Vapour Place they're passionate about vaping and sourcing great e-juice, always looking for new and exciting flavours for you to try. They only sell premium e-juice and e-liquids that are safe, personally sampled and approved. Whether you are looking for an all day vape or a new premium e-juice, they'll have something for you. 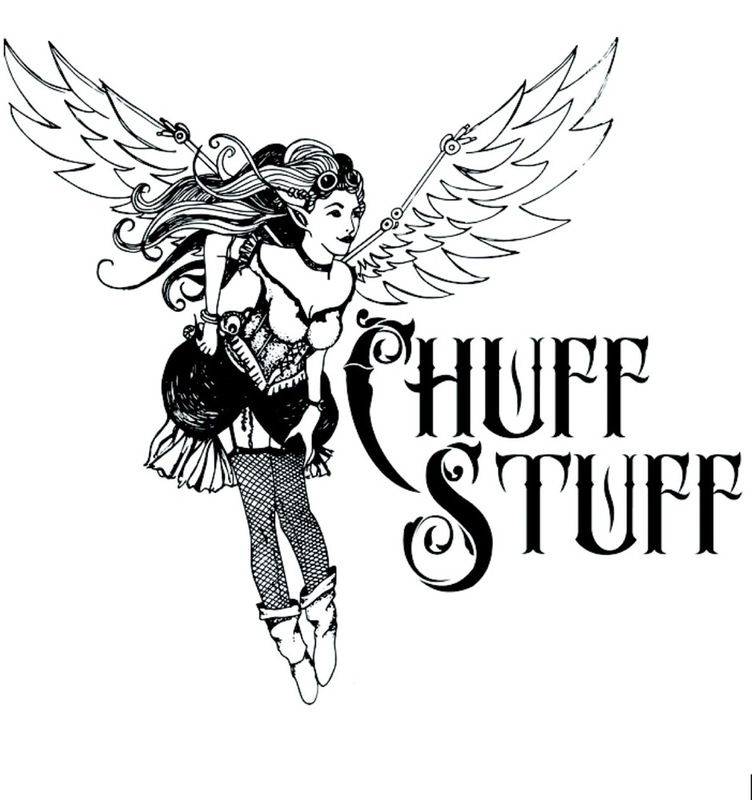 You can visit their vape shop in Bedminster, Bristol to try their range of e-juices, or if you already know what you’re looking for you can buy online. If you order two or more of these premium e-liquids online you’ll not only get a whole lot of e-liquid for your money, but free delivery too! Free shipping on UK orders over £30. 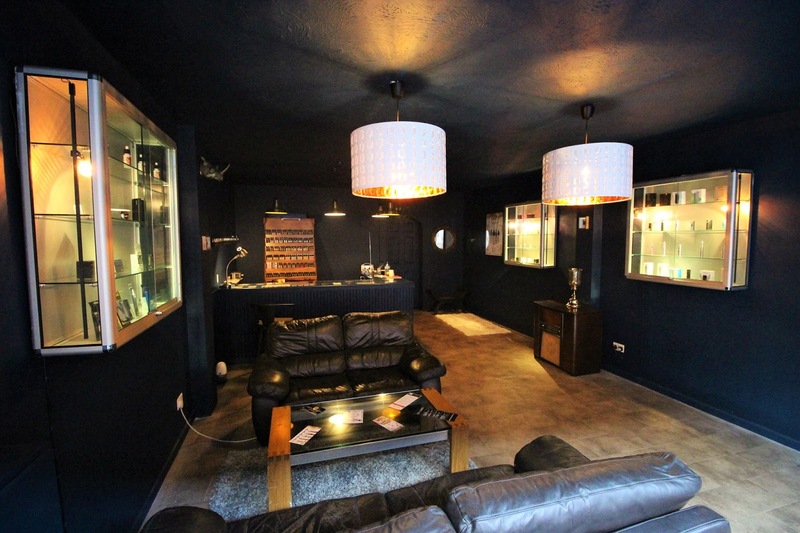 To sample their range of quality e-juices, stock up on your vaping supplies or just chill out on the sofas – visit their vape shop on West Street in Bedminster, Bristol. Support your local independent vape shop! The Vapour Place is an official re-seller of Joyetech, Eleaf and Wismec. They also stock Aspire, Smok, UD, Council of Vapor, Ehpro, Sony and Nitecore direct from the manufacturer or official distributers. Not all of their products are available to buy on-line, please visit their vape shop to check out their full range of e-cigarettes and mods. They only sell e-cigarettes and mods that they have tested and approved, which is why they don’t sell cheap starter kits or vaping equipment that doesn’t make the grade. If you’re not sure which e-cigarette or mod is right for you, they're always happy to give you impartial advice to make sure that you’re happy with your purchase. Email: thevapourplace@gmail.com, or give Jon a call on 07455924077. All of their e-cigs and mods come with the standard manufacturers guarantee. They have their own blog and shop news section for you to browse through at your own leisure. Follow 'The Vapour Place' on Twitter https://twitter.com/TheVapourPlace , or like them on Facebook https://www.facebook.com/thevapourplace/?fref=ts to find out about their free vape give aways and promotions. The e-liquid bottles come with child safety caps and tactile warning labels. They are fully chip compliant and there are use by dates and batch numbers on each bottle. The labels are clearly printed and easily read. 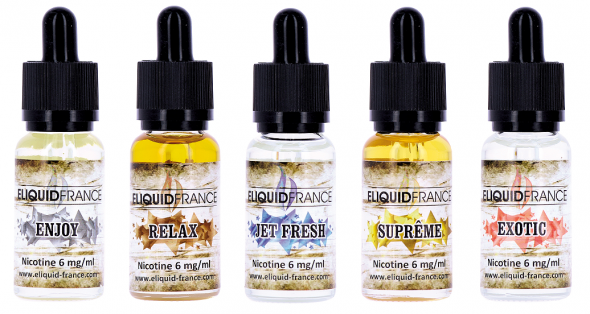 All of their e-liquid complies with regulations set out by the European Parliament. The e-liquids arrived with a Vapour Place 10% Off next order flyer, which was a very nice touch, and colourful e-juice cards giving a description on each of the flavours. Again, a very nice touch. Presentation was excellent. My choice of set up for this review is my 'Twisted Messes' Box Mod with the 'Twisted Messes RDA using twisted clapton dual coils reading 0.3ohm with muji cotton at 50w. I will be using this set up for both e-liquids. The first e-liquid is: 'Sweet Cream No24' of the Sweet Cream range created By E-Liquid France in the 'Nieul Sur Mer' region of France. Product Description: A premium e-liquid. A delicious mixture of cupcakes and cheesecake, with pecan nuts, caramel and cream. On opening the bottle, a subtle bakery aroma with hints of caramel wafted from the bottle. Very delicate in scent but pleasing to the nose. The distinct aroma of cheesecake base was present, with a slight nuttiness aroma in the background. On the Inhale, a delicious, buttery yet rich flavoured pecan flavour, with notes of cheesecake and creamy caramel. The mixture of cupcakes were definitely present but were a little subdued. I love the french approach of exotic flavour combinations. They have sophistication, and are expertly blended, giving you a smooth, full bodied vape that appeals to many. On the exhale, a warm flavour, with bakery undertones and hints of caramel, which reminded me of Good Old 'English Toffee'. Quite distinct in flavour, giving the e-liquid it's overall smoothness. Summary:- A captivating blend where all flavours in the mix are perfectly balanced with no flavour dominating the other. A beautiful blend of flavours that all work really well together. ADV - Not for me. It doesn't lack in flavour and can become quite sickly after an hour or two of vaping it. It would be enjoyable after a meal, on a special occasion, or when you want to have a change from your typical all day vape. As they say, "Variety is the spice of life". Final Thoughts - I really enjoyed vaping this e-liquid. It was a change from my norm'. I can see why some vapers might be put off by the combination of flavours in the mix, but they work really well together, and for the price of a 20ml bottle, you can't go wrong. It wasn't one of my favourite e-liquids that I've had, but it was different to what I'd normally vape, and I enjoyed the vape it gave me. I was quite impressed with this one. If you enjoy dessert type vapes, you will enjoy this one. It is consistent throughout and doesn't lose it's flavour. It wasn't harsh or bitter in anyway and it tasted clean. The sweetness wasn't overpowering, it was just the right amount. I will keep a bottle of this in my daily vaping rotation. The second e-liquid is: 'Relax' created By E-Liquid France in the 'Nieul Sur Mer' region of France. Product Description: A premium e-liquid with a tobacco base and a special blend of tobacco, coffee, cookies and vanilla. On opening the bottle, the rich aroma of a French continental coffee. 'Un Cafe' a French espresso, wafted from the bottle. Strong, rich and full of character. There wasn't any notes of tobacco, cookies or vanilla at this point, as the coffee aroma took precedence over the other flavours. It smelled clean and a little sweet. A comforting aroma, that I couldn't wait to try. On the Inhale, the rich, sultry flavour of a silky smooth French Vanilla swept over my palate, followed by a medium-strong espresso coffee. A full bodied Artisan coffee with a warm mouthfeel and soft texture. Delicate buttery cookies, crispy and delicious coated my palate. Similar to French Lace Cookies. A thin French Cookie, dusted in icing sugar, and served with hot espresso coffee in Paris. Quite nutty in taste giving the coffee a full bodied flavour. Blended to perfection for the ultimate in indulgence. On the exhale, a delicately smooth light Virginian tobacco lay softly on my palate. Very subtle and extremely smooth. You could tell it was there, but it was very light and mellow. There were undertones of chocolate present, giving a strong sense of flavour. Summary: An e-liquid which is quite difficult to describe. It was blended beautifully, and each flavour was balanced evenly throughout the vape. A warm, rich, bold flavour with a long lasting taste. Not everyone will like this e-liquid. You have to be a coffee lover to fully enjoy this juice. The strength of the coffee alone dominates the other flavours on the inhale but smooths out dramatically on the exhale. It is consistent throughout and doesn't lose it's flavour. It wasn't harsh or bitter in anyway and it tasted clean. The sweetness wasn't overpowering, it was just the right amount. Final Thoughts - A very satisfying vape. I couldn't vape it for long, as it became quite cloying after a while. I would vape this one at Breakfast. It's the perfect morning vape. I will finish the bottle but sadly it's not one I would buy. A very nice change if you enjoy strong coffee vapes. 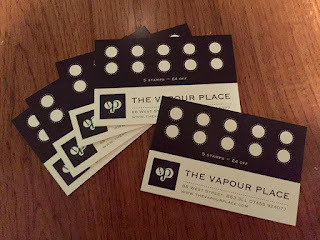 The Vapour Place loyalty card is now available - collect 5 stamps (one for every e liquid you buy) and you'll get £4 off your next purchase! A sweet and refreshing baked apple flavour with brown sugar. Just like our favourite cereal, Apple Jacks. Just like a banana cream pie filling. A refreshing cherry lemonade blast. A zesty lemon experience with a delicious rich and creamy cheesecake. A raspberry hard candy enhanced with sweet strawberries and wild blueberries. A sweet strawberry and cantaloupe cream bake with a nice menthol accent that reminds you of a cool summers breeze. Two different vanillas and two different strawberries make this delicious strawberry custard flavour. Remember going to Grandma’s house and getting caught with your hand in the cookie jar? But they were just so good you didn’t care how much trouble you were in. A perfect blend of pineapple and pomegranate to satisfy both your fruity and tart desires. A rich creamy vanilla that all custard lovers can savour. A smooth and creamy yogurt flavour that’s not too sweet. Contact The Vapour Place - They'd love to hear from you!